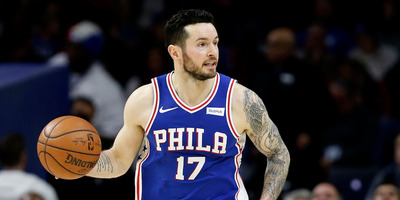 Philadelphia 76ers guard J.J. Redick apologised after a video in which he appeared to use a an Asian slur. Redick apologised and said he got tongue-tied between two sentences, saying the slur is not in his vocabulary. Philadelphia 76ers guard J.J. Redick landed in hot water after a video was shared in social media in which it sounded like he used an Asian slur. According to SB Nation, the video showing Redick was removed by Tencent and replaced with an almost identical version without him. Fans grew mad as the video circulated, prompting two responses from Redick. He then released a statement, explaining that he got tongue-tied during the filming of the video. He said at the time of shooting, no one heard the accidental use of the slur and they did not re-shoot the segment. He said it’s not a word in his vocabulary. “To all our NBA fans in China and everyone celebrating the Chinese New Year, I want to sincerely apologise to anyone I may have offended. “After a recent 76ers game, I was asked by the NBA and Tencent to record a video wishing our NBA fans in China a Happy New Year. I was glad to do it. I was intending to say ‘NBA Chinese fans,’ but it sounded weird in my mind, so I changed it mid-sentence to ‘NBA fans in China.’ It came out the wrong way. “At the time we recorded it, no one in the room – not Tencent, not the 76ers PR team and certainly not myself – heard the word that I purported to say. Had I known it sounded anything like that, I would have been mortified and recorded the greeting over again. That is not a word in my vocabulary but I now understand how it sounds on the video. “That is not who I am – as a person, a player, a husband and a father. I have been fortunate to play in two NBA Global Games in China (2007 & 2015). I loved the experience, the culture, the history, and most of all, the people. I ask your forgiveness.